Today I'll like to share about my experiences about a judging competition that I was invited to. It had been great exposure for myself and it was a joy to see different styles of nail art done by people, their concepts and ideas behind the designs! 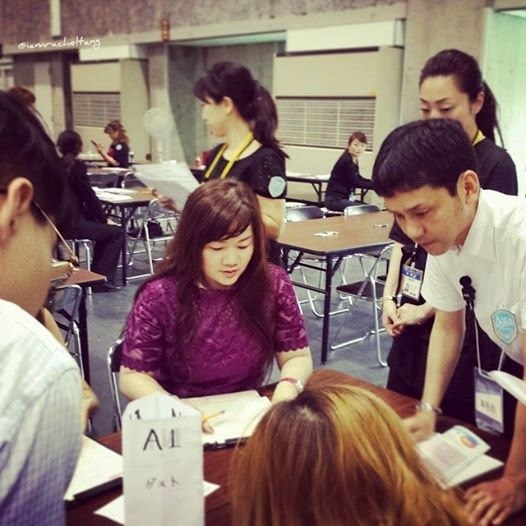 Asia Nail Festival is an annual event held by Japan Nail Association (JNA) that takes place in Osaka, Japan. It is a large nail event in Japan, where 18,000 or more nail lovers gather. This event introduces top manicurists; local and from overseas, and features a popular competition 'Asian Cup'. There were also other booths introducing the latest nail products. I was invited to judge at the Nail Cup Competition and it was a great honor for me as only exclusive nail experts were invited to judge in a Japan nail competition. The above photo was taken during the judges' meeting at the competition. Each of the judges had to be briefed before the competition to ensure fair judging. The category I judged for was for manicurists who have taken part and won in the top 3 prizes in previous competitions. So you can imagine their high standards. I was pretty impressed! During the break time, I had the chance to look at the other categories and competition that was happening... making mental notes that was be helpful for the next Pink Room Cup Competition. Judges were invited on stage to receive the Appreciation Award. 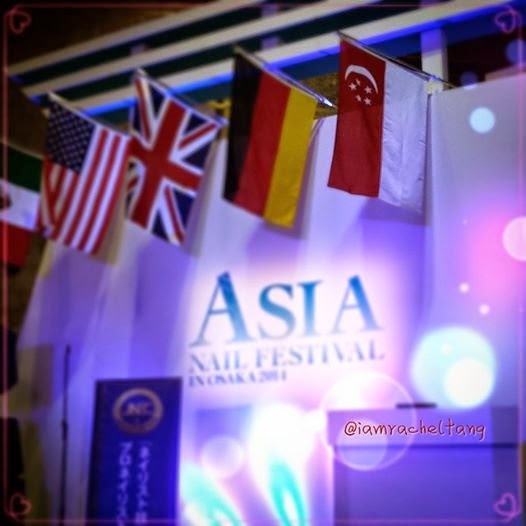 I felt a moment of deep patriotism when I saw the Singapore flag hanging high at the Asia Nail Festival. I was proud to be the first and only Singaporean representing our country as an International Judge. It was definitely an instagram-worthy photo. I can't help it. Haha~ I was probably the only judge who was taking photos through out the event, cus i wanted to share the behind the scene with my readers. In class, my students always asked what it's like at an overseas competition. Or even what it's like to be judging. And of course, how I managed to become a judge? Well, I'll share more stories in time to come.